Google has announced its latest smartphone and tablet offerings to compete with the iPhone 5, iPad and iPad mini. The Nexus 4 was developed with LG, sports a quad-core processor, 4.7″ display (320 ppi; just under the iPhone 5’s 326 ppi), wireless charging and Jelly Bean, version 4.2 of Android OS. The Nexus 7 tablet now comes with 16GB/32GB capacities, adds HSPA+ data instead of the latest generation LTE networking found in the iPhone 5, iPad and iPad mini. Nexus 4: 8GB for $299; 16GB for $349; available unlocked and without a contract on 11/13 on the Google Play store in the U.S., U.K., Australia, France, Germany, Spain and Canada. The 16GB version will also be available through T-Mobile for $199, with a 2-year contract (check here for more details). Nexus 7: 16GB for $199 and 32GB for $249; available in the U.S., U.K., Australia, France, Germany, Spain, Canada and Japan, and also through our retail partners Gamestop, Office Depot, Office Max, Staples and Walmart. 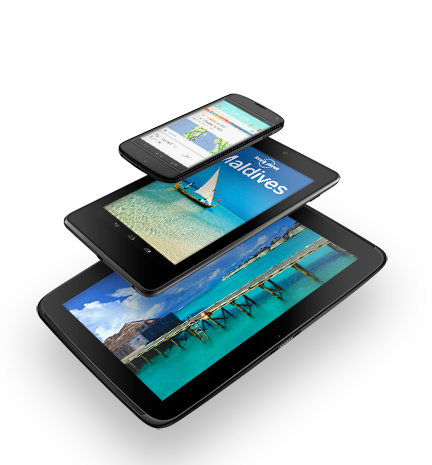 Nexus 10: 16GB for $399; 32GB for $499; available on 11/13 in the Google Play Store in the U.S., U.K., Australia, France, Germany, Spain, Canada and Japan. Umm. Wait. What? Isn’t it your job to work out these LTE carrier road blocks? 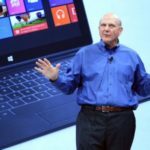 Other Android OEMs have been able to–but the almighty Android deity cannot? One year ago, when the iPhone 4S debuted without LTE networking (speculation was the omission was due to LTE modem size constraints), ‘fandroids’ celebrated joyously at Apple’s ‘failure’ to implement the faster networking at a time when Android devices had them as a standard (but also with atrocious battery life). Now, it looks like the tables have turned–I wonder what ‘fandroids’ will say now?